Leaf, M. (1936). The Story of Ferdinand. New York: The Viking Press. Gandhi’s favourite book, Ferdinand tells the story of a young Spanish bull who prefers smelling flowers to running, jumping, skipping and butting heads with the other little bulls. We quickly learn that Ferdinand is different, and that he is comfortable with this. 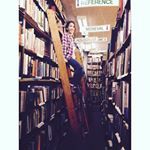 We ingest a lot through discovering Ferdinand – the effectiveness of peaceful demonstration, the wonderfulness of quiet confidence, and the respect for individual variations. For this particular bull would like to just sit quietly under his favourite cork tree and smell the flowers. Ferdinand’s gentle yet strong nature emanates from the detailed black and white drawings of Robert Lawson completed in pen and ink. Done in the 1930’s and strongly influenced by film, this is a longer picture book than we typically see published today. Another influence of film can seen in the distance shot juxtaposed with the close up shot. The well-balanced illustrations placed on the right hand side are skilled in composition and have a fine sense of humour. 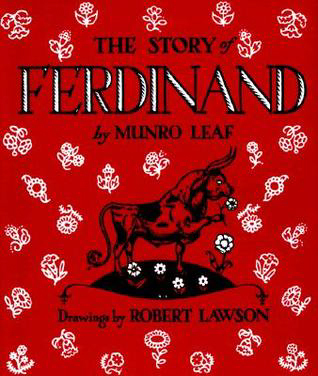 Pacifism, remaining true to oneself, and non-conformity are invaluable lessons expertly woven into The Story of Ferdinand. This is the first picture book to present a main character who does not fit normal gender stereotypes. Ferdinand has effeminate qualities, and his mother still loves him for who he is.